David Carroll had about four hours to burn in Salt Lake City between flights. He could have stayed at the airport, snacking on sugary cinnamon buns, trying to nap between chair armrests or examining souvenir shot glasses. 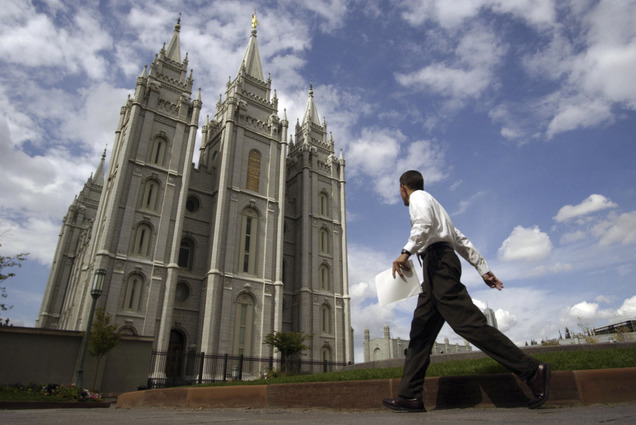 Instead, Carroll chose to hop a free shuttle to Temple Square, the most prominent religious site of The Church of Jesus Christ of Latter-day Saints. Carroll, who was flying from Philadelphia to West Yellowstone, isn’t Mormon, just curious.